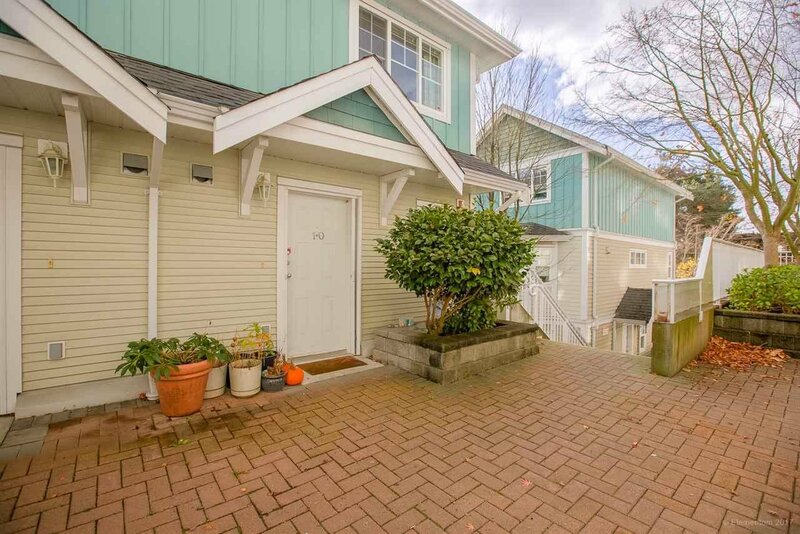 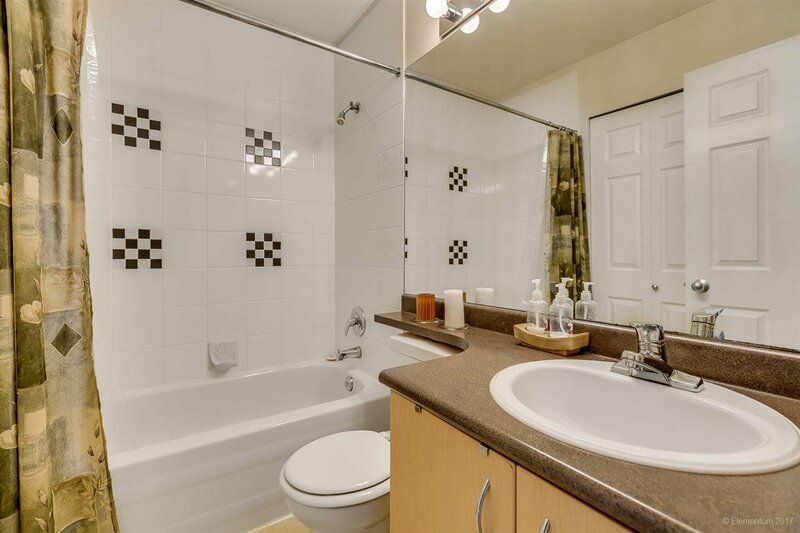 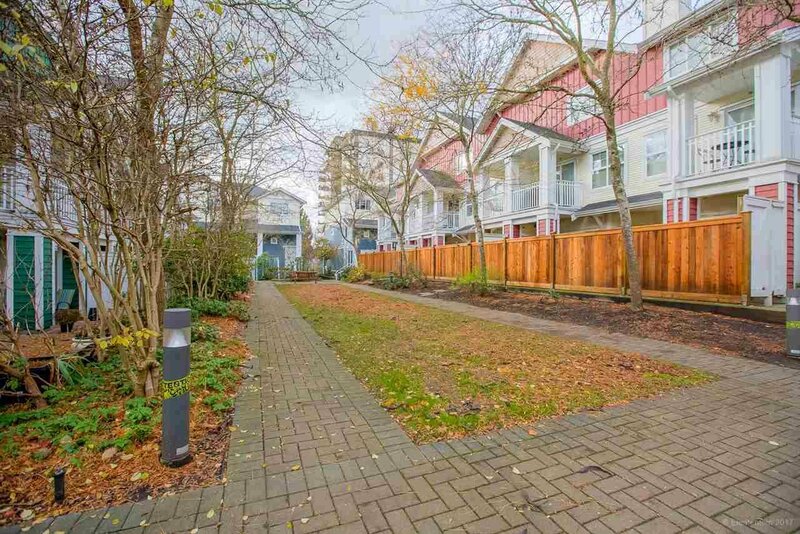 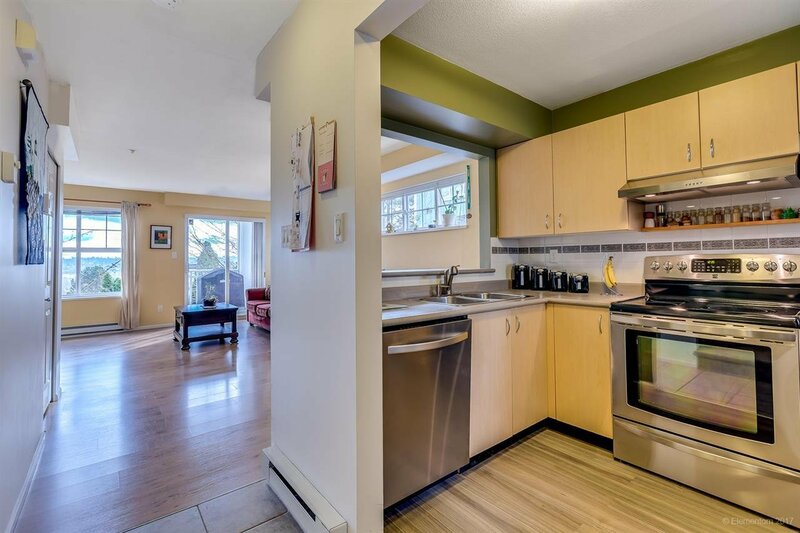 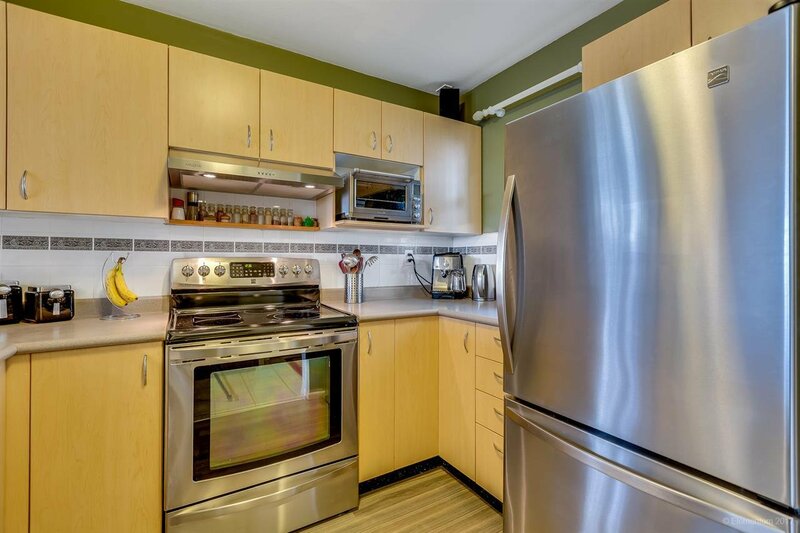 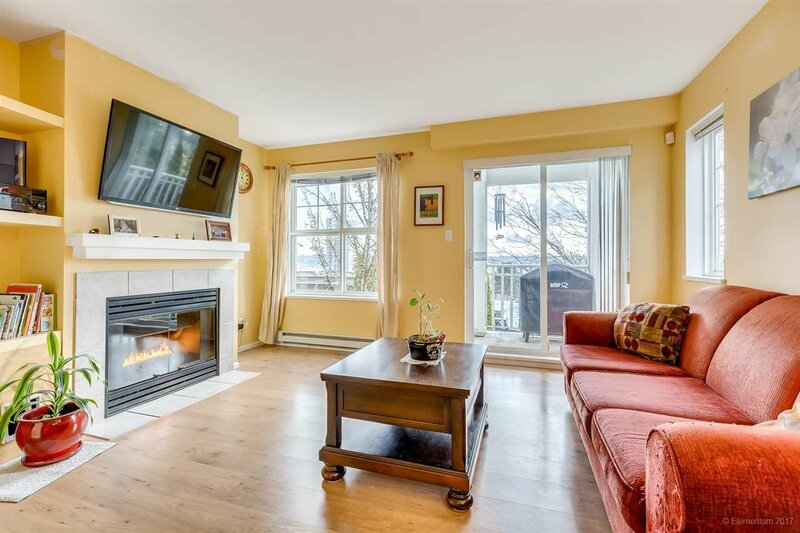 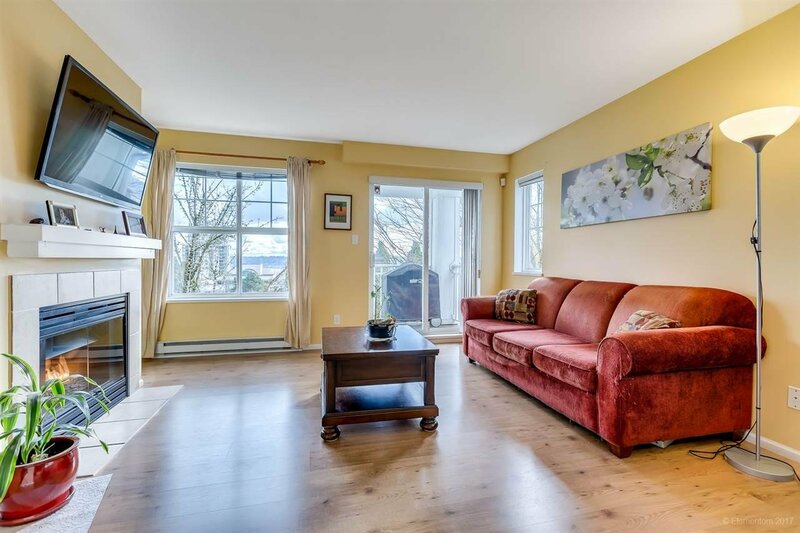 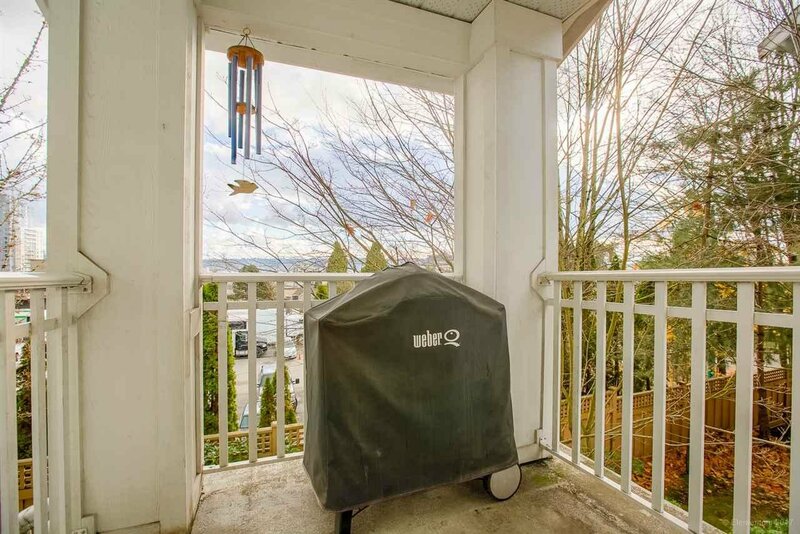 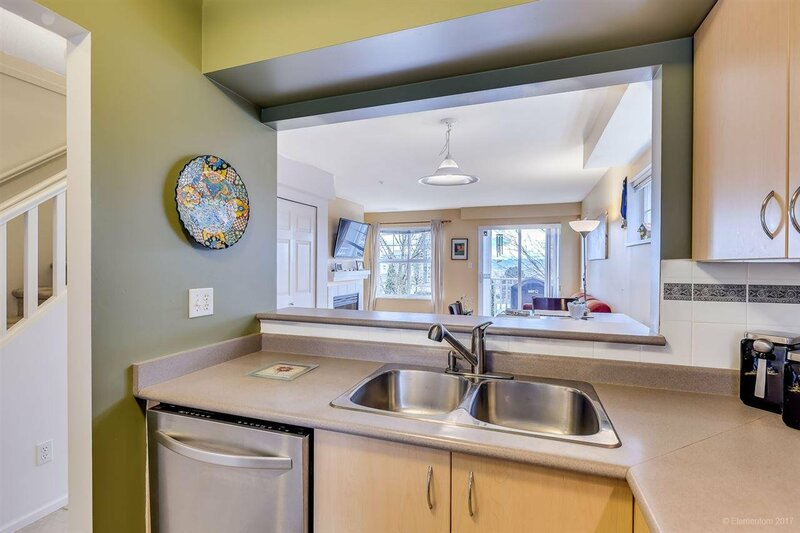 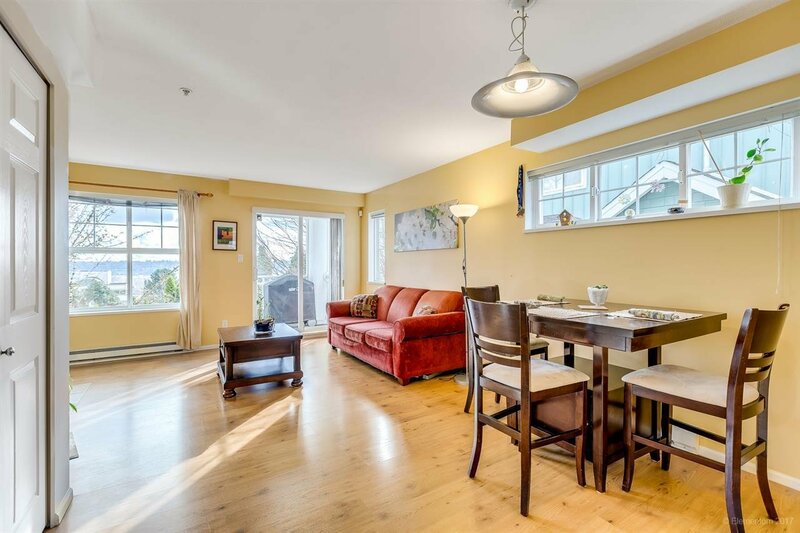 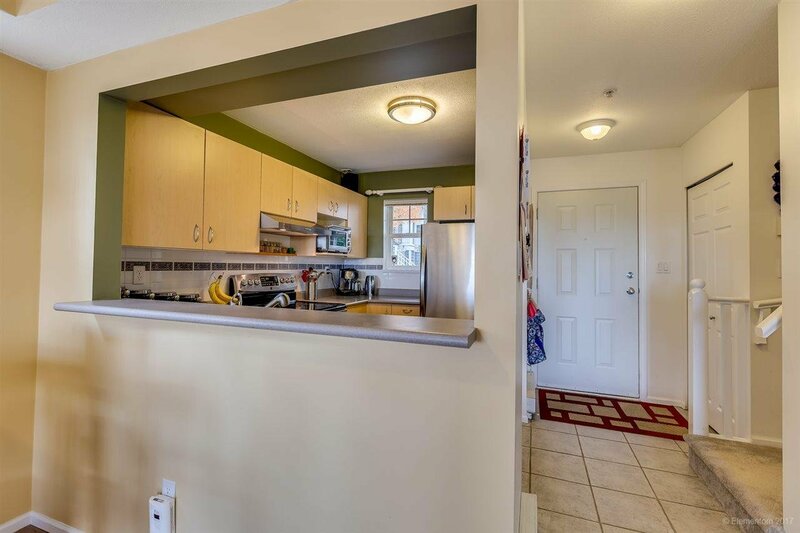 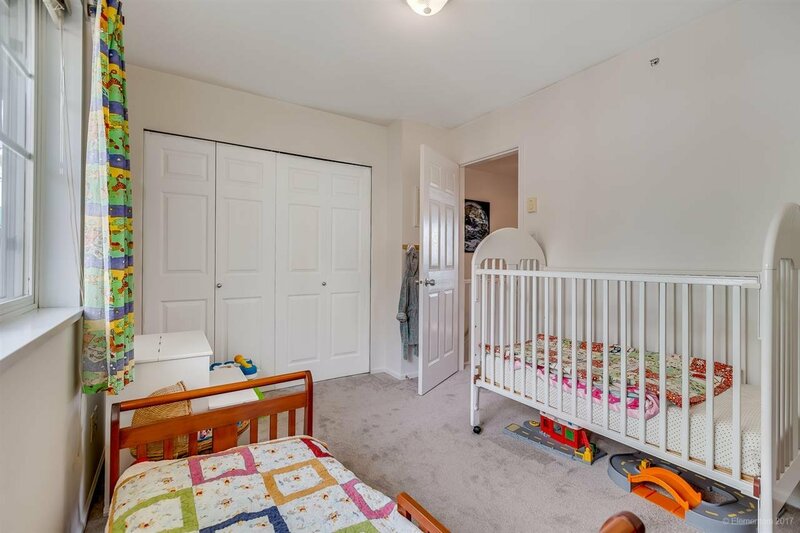 Royal City Terrace - 2 bedrm, 1 bathrm 2 level southfacing CORNER T/H w/unobstructed views to Fraser River & beyond! 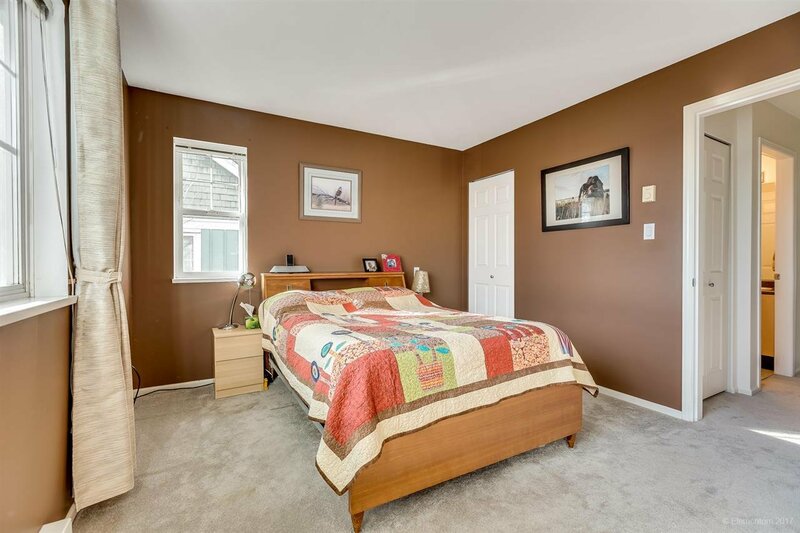 Well maintained & updated w/fresh paint thru-out, laminate flring & quality carpeting. 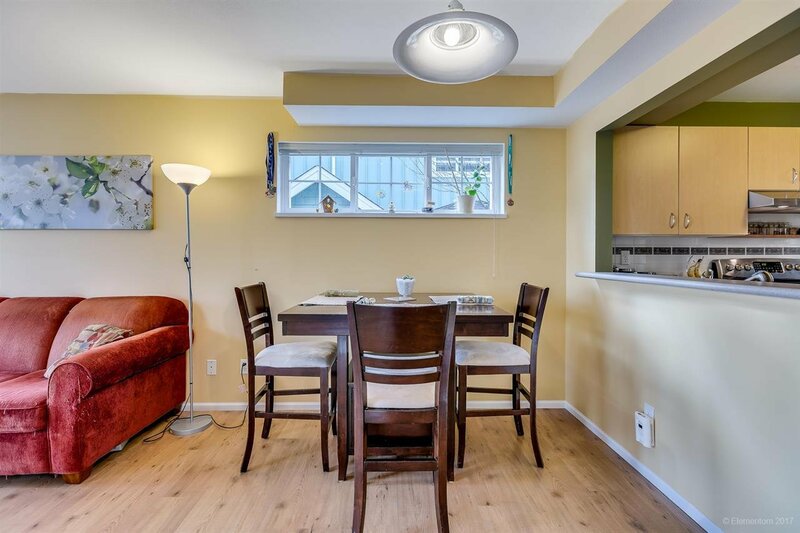 Natural light abounds thru-out w/windows on the south, north & west sides of home. 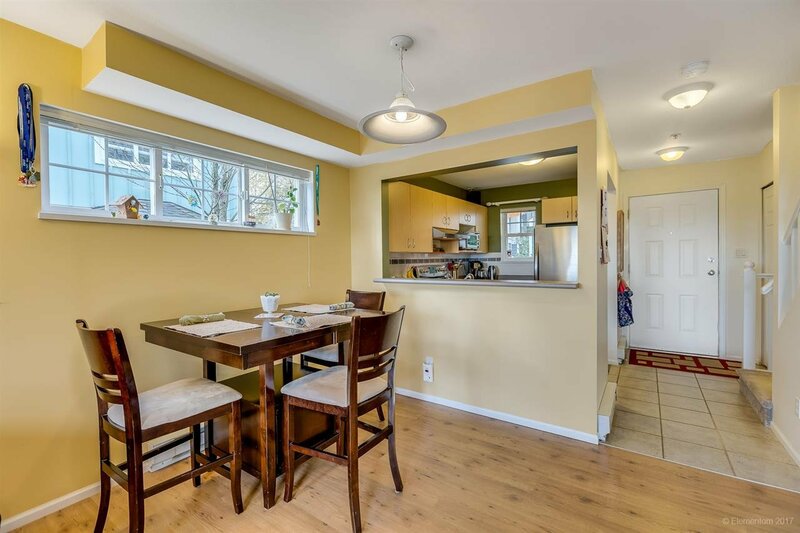 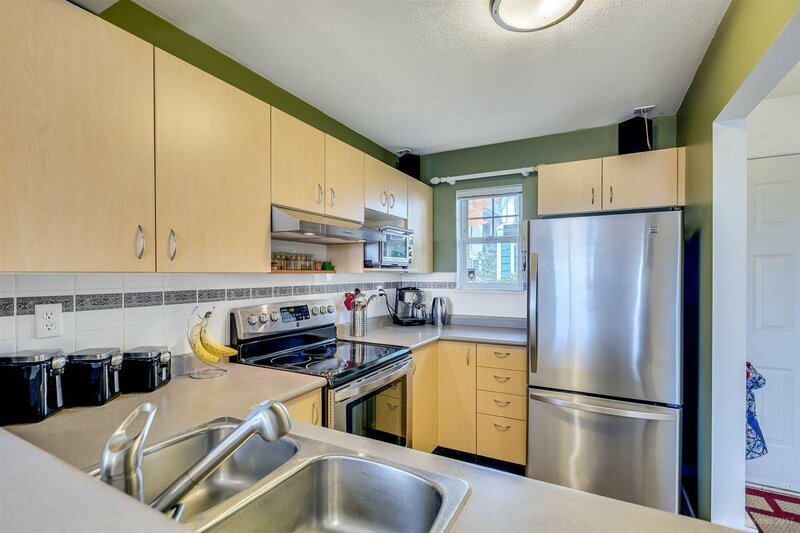 Enjoy cooking in the well appointed kit w/bar seating & open to dining/living rm. 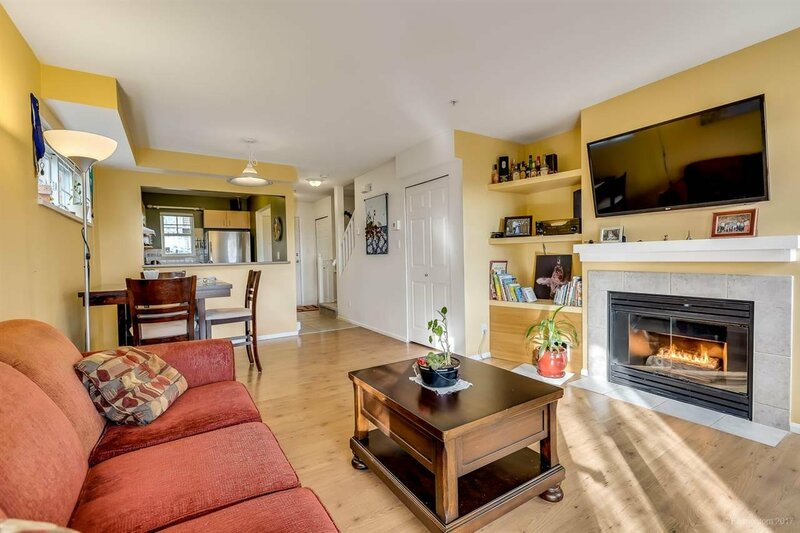 Get cozy lounging in the living rm w/gas f/p & sliders to balc while enjoying amazing south views. 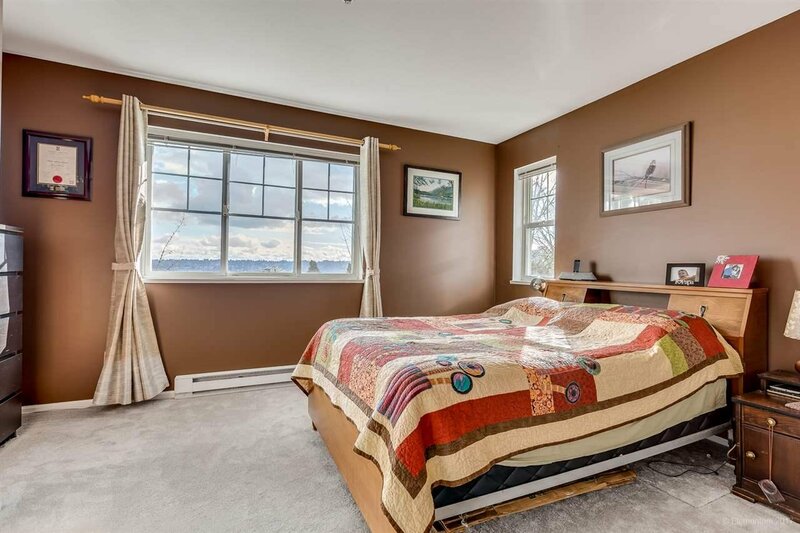 Upstairs the master bedrm is enhanced w/the south views, main bathrm where the insuite laundry is located & the 2nd bedrm is respectable in size. 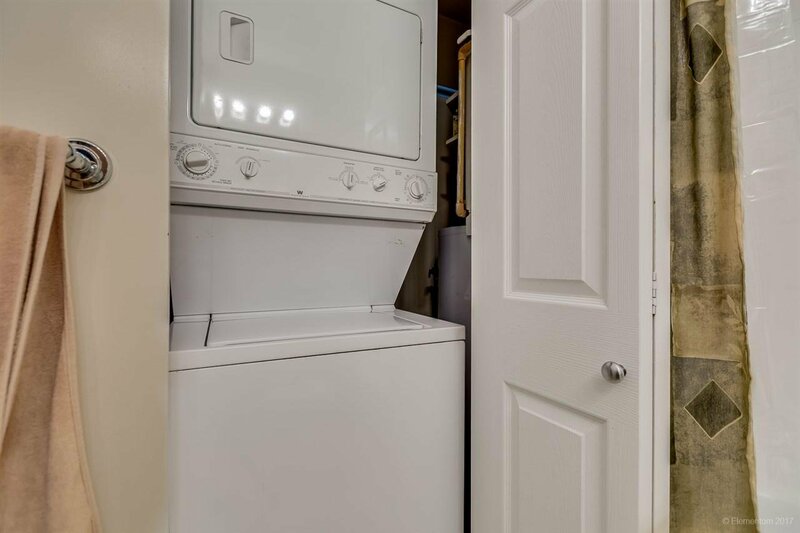 1 parking stall & 1 storage locker incl. 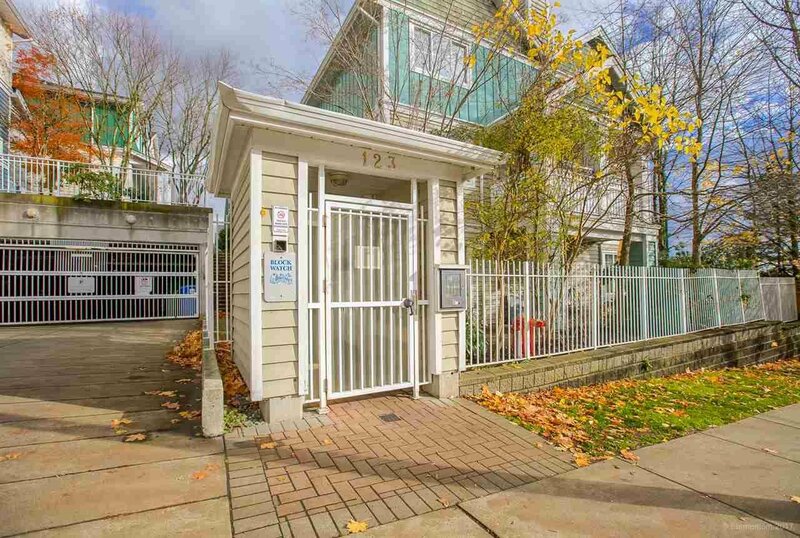 Amazing New West location close to all amenities.  SEE VIDEO!